Summer isn't the same without a pool you can jump in to cool off. Gone are the days of a simple backyard swimming pool. The latest swimming pool designs are geared towards a versatile space for leisure and entertainment. As they're becoming a common feature of our backyards, more designers and landscape architects have directed their attention to pools. 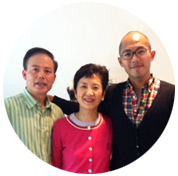 There are many different designs to meet the preferences and budget of any homeowner. And there's a growing trend toward automation for increased kid and pet safety as well as alternative uses of the swimming pool area. So what other must-have features are on the 2013 swimming pool trends list? Read on to find out! The popularity of outdoor spaces and kitchenettes is growing rapidly. We're seeing many homeowners decide to include a swimming pool in their design to make the most of their days outside. So pools are more compact and varied in shape to fit into any space. Pool integration hasn't only changed the way we see the actual design but also influenced outdoor trends. 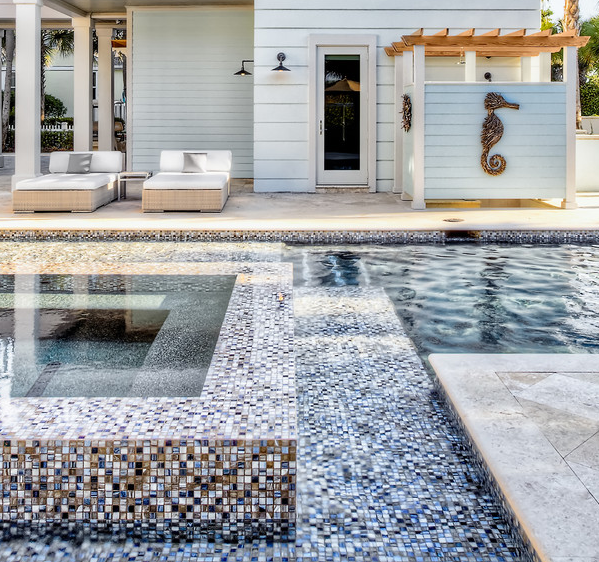 Pool owners are bringing different elements to their outdoor living areas, and these elements are becoming essential. Fire features have been an important part of almost any outdoor kitchen and patio. Beside the obvious use, homeowners use fire pits and fire heaters to extend the use of the outdoor area into the cooler seasons. Until recently, fire bowls have been difficult to operate, but companies such as Grand Effects and Bobé have developed fire bowls that you can turn on and off by simply pushing a button. 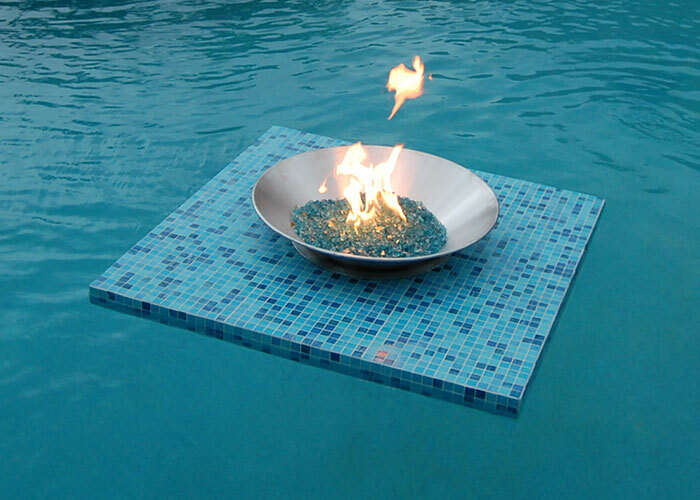 These fire bowls burn gas instead of wood and so are safe around pools as well. Fire provides a beautiful contrast and a nice reflection after sunset. The Aqua Fire Pit company specializes in floating islands with fire pits that you can place in the pool and let float and around. There are several options and add-ons available to ensure the floating fire pit will fit perfectly with the swimming pool and outdoor room design. Every Aqua Fire Pit comes with a weight bag that secures it in the pool. Simple underwater lights are things of the past. Fire pits, as we've seen, can serve as a nature-friendly and safe underwater light replacement, but you can't let them burn all night. The Italian company Slide supplies probably the most beautiful lights you'll ever see. They offer milky-white, sphere-shaped floating bulbs in different sizes. 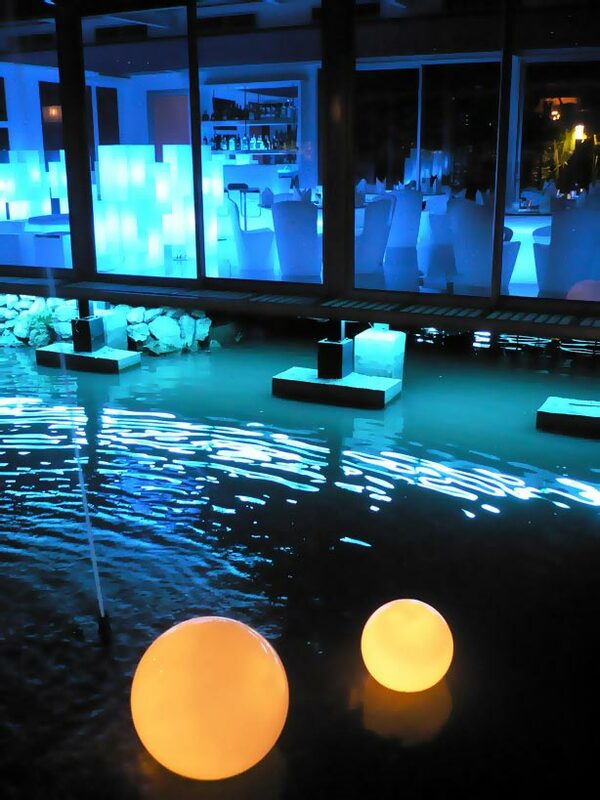 The Acquaglobo collection is designed for pool or pond use, and you can use luminous spheres from other collections to decorate (and light up) gardens, patios, and other outdoor areas. The pool design of your choice will never look complete without a matching finish. Once you've set the shape, size, and position, pool finish is the next thing to figure out. Today's pool owners have many different pool finish options available — ranging from the standard white plaster finish to a rainbow pebble finish. Each finish has its benefits and drawbacks. To help you guide through the process, we've prepared a mini guide for you. Pool tile is made differently than bathroom or outdoor tile. Pool tiles are an ideal option for customers looking for a custom design. A big array of colours isn't the only customizable option for pool tiles. You can also get creative with patterns. The favourite pool mosaics are dolphins, turtles, and tropical fish and all sorts of patterns. The biggest advantage to pool tiles is their durability and low maintenance. Apart from regular pool maintenance, tiles need very little extra care. This is another favourite option of pool owners. Vinyl pool liners used to come in very few colours, but the choice has broadened up in recent years. Different patterns are available too. The greatest benefit of pool liners is their friendly price and low maintenance. On the other hand, vinyl pool liners have a shorter life expectancy than the pool itself. Standard white plaster has been around for as long as people have been building swimming pools. It makes for an economical choice that will give the pool a classic look. And you don't need to settle for just white plaster. Nowadays, you can add all sorts of pigments to the mixture of white aggregate, cement, and water to create beautiful, consistent, and lasting colours. Some pool shapes lend themselves better to complementing the surrounding landscape or structures. 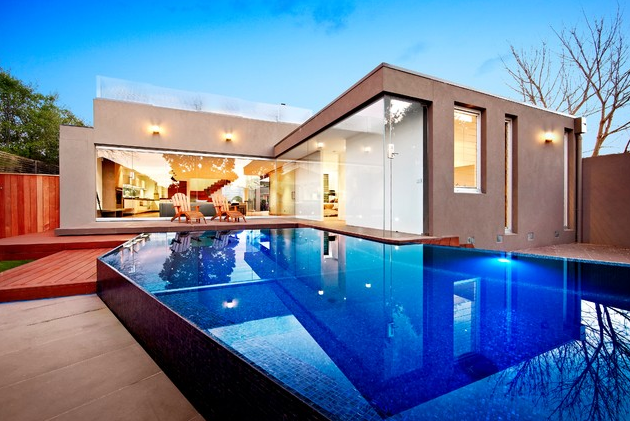 A pool located close to the home should complement the home’s architecture. These days, sleek, geometric shapes and formal lines have taken over the decorative style of the '90s, so many homeowners opt for a square or rectangular pool. But if your pool is farther away from your house, a freeform shape would look more natural, as it would blend with the landscaping. 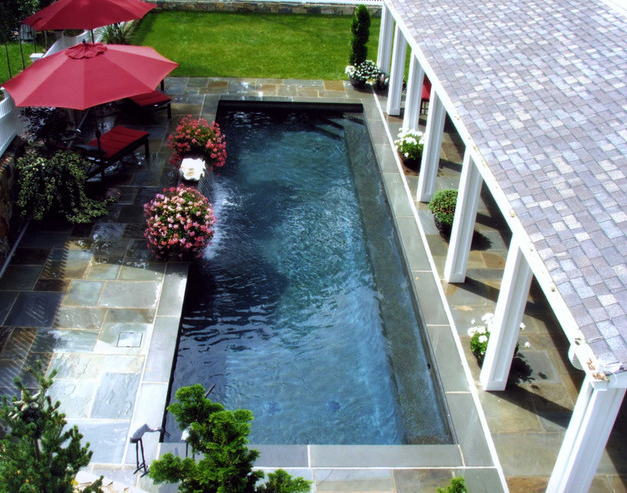 Rectangular swimming pools are the most basic and sought-after of all types. Their long, straight, and narrow design is ideal for swimming laps. A rectangle with rounded corners is also a popular design that tends to tone down the formality. 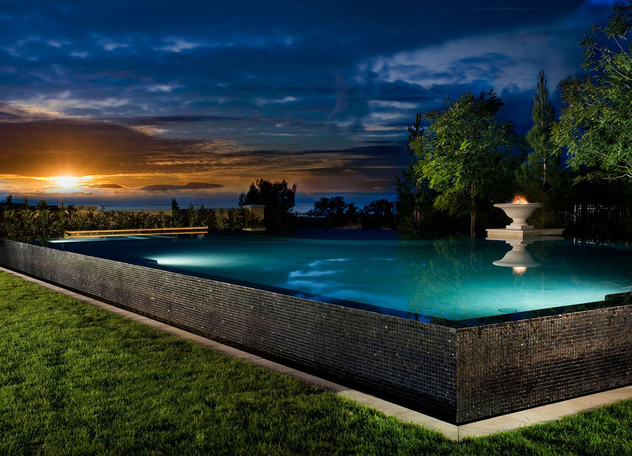 The L-shaped swimming pool is a natural extension of the typical rectangular pool. This pool shape is great for people who like to exercise or train by swimming laps, but it still provides a smaller shallow area for young swimmers. Some people enjoy the comfort of intelligent houses, where they control everything from room temperature to music in one interface. Being able to control your house lets you turn off the air conditioning or water heating while you're away and saves the environment as well as money. Automated swimming pools bring the same possibilities on a different scale. Do you like spending your evening in a hot spa while snowflakes gently fall on your head? No problem! The system lets you set the temperature and notifies you when the spa is ready. If you think automation is something you can live without, try going in and out in your bathing suit in freezing weather, checking if the temperature's right yet — probably not so fun! Another great advantage of automated swimming pools and spas is the self-cleaning function. You got the spa in your backyard to relax and not to give you another thing to stress over. Ozone cleaning is the most advanced and nature-friendly alternative to date, and automation can switch it on on automatically at a set time, or you can do it "manually" just by pressing a button. You can install pool alarms as an addition to the intelligent pools system. They're useful especially for families with young children and pets, as they'll alert you of a possible risk. Drowning is the second leading cause of unintentional injury-related death for kids 14 and younger — not to mention over 5,000 dogs that drown each year in backyard pools. Your cat and dog can naturally swim, but they're not trained to get out of the pool. These alarms trigger if they're completely underwater for more than 10 seconds (response time may vary). You can attach these alarms to any pet's collar, and the kids' version has an adjustable wrist strap. I’ve seen a lot of amazing swimming pool designs and i have always thought there will never be as amazing as to those i have seen but these swimming pools are definitely are amazing as well. They are definitely modern and beautiful. Such brilliant builders or designers to have came up with such amazing designs.